There have been a surprising number of new Bomberman games this generation, but everyone has their favorite classic version to point to. Honestly, I thought the series peaked with 4 players until I got into a few awesome 8 player matches. So maybe more is better, or at least worth trying for free. 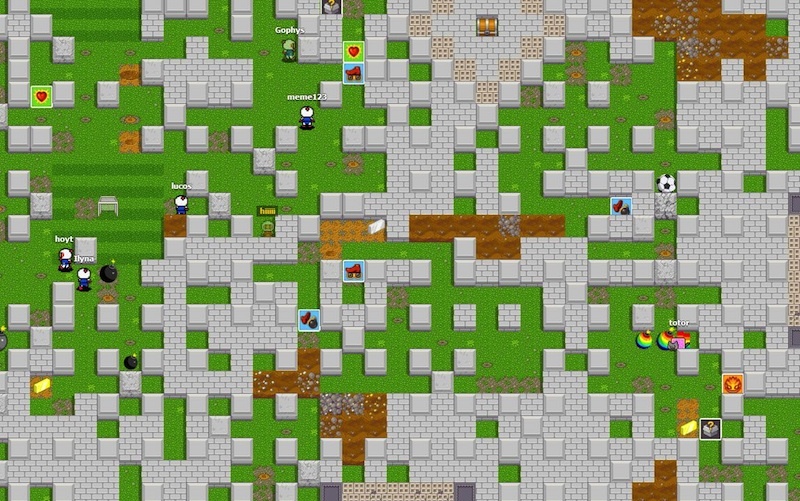 Bombermine is a free Flash Bomberman-clone that puts 1,000 players in the same game. Same rules, bigger maze. The game is in beta right now and ready for you to sign up and jump into a game. Survive as long as you can and if you are like me, try to avoid being your own worst enemy. Seriously, there are 999 more dangerous players, how do I keep trapping myself? Hey! – It’s a weekly shot of gamer culture.